Seat Leon X-Perience prices start at 24,385 | What Car? 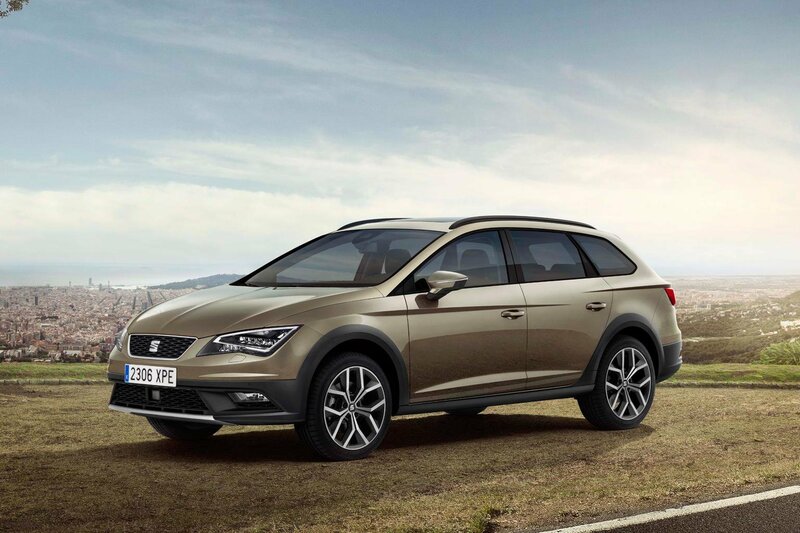 The pricing for the Seat Leon X-Perience has been revealed, ahead of the all-wheel-drive estate's arrival in dealerships this December. It is available to order on September 1. The Seat Leon X-Perience is the top-of-the-range addition to the estate version of the Leon's range. It comes with permanent four-wheel drive and other extras aimed at enhancing the car's off-road ability. There are few rivals to the all-wheel-drive Leon, with the Skoda Octavia Scout the closest in size and price. Like the Leon, the Scout comes with all-wheel drive and a raised ride height. The altered suspension means that it rides better than the standard Octavia, and its powerful engines mean it is a swift car. It also comes with a high level of standard kit to justify its higher price. Other alternatives are larger than the Octavia and the Leon, with the Volkswagen Passat Alltrack and the Vauxhall Insignia Country Tourer also coming with cladding and all-road ability. The Insignia has a strong engine, but it is a noisy unit, although it does get plenty of kit and is decent off road. The Passat, meanwhile, is also praised for its off-road ability and is larger in terms of carrying capacity than the Leon and Insignia. The Leon X-Perience is offered with only two engines, both 2.0-litre diesels. A 148bhp 2.0-litre diesel is offered with a manual gearbox, and the 181bhp 2.0-litre diesel from the Leon FR is offered with only a DSG automatic gearbox. The changes to the Leon's ride height and the addition of the all-wheel-drive system have a negative effect on the car's efficiency. The smaller diesel emits 126g/km (up from 106g/km on the ST), while the larger engine emits 133g/km (up from 122g/km). There are two trim levels: SE and SE Technology. SE brings 17-inch alloy wheels, black roof rails, rear parking sensors, dual-zone climate control, front sports seats, orange stiching on the steering wheel, hill-hold control and a protective plate and the boot lip. SE Technology gets a 5.8-inch touchscreen, satellite-navigation, DAB digital radio, auto lights and wipers and a self-dimming rear-view mirror. Alcantara upholstery, LED headlights and 18-inch alloys are also included. Both cars also get increased ground clearance and extra cladding around the door sills and wheelarches. They also get exterior visual enhancements, including aluminium-look touches on the rear bumper and the front spoiler, which act as skid plates. There are a pair of foglights at the front, while there are a pair of chrome exhaust tailpipes at the rear. A Lux pack, costing £1250, adds heated leather seats, heated windscreen washer jets and chrome roof rails. The range stats at £24,385 for the SE 2.0 TDI 150. Upgrading to SE Technology takes the price up to £26,370, while the 2.0 TDI 184 with DSG automatic gearbox costs £28,870. Our Target Price shoppers have found discounts on all versions of the Seat Leon ST, so we'd expect similar savings to be available on the new X-Perience. You can get savings on the higher trim levels of about £1500, and we'd expect similar discounts on this new model.